Join us for a festive evening of networking, drinks and appetizers at the Napa Valley Grille as we welcome in 2019 and get ready for the new year ahead! There will be some surprise drawings to ring in the New Year! You must be present to win. 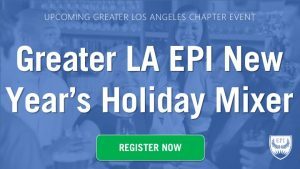 Exit planning is cross-functional and attracts high caliber advisors from across all disciplines, so if you are looking for a group to expand your network with complementary exit professionals, make plans to join the Greater Los Angeles Chapter this January for this networking event. This meeting will be held at the Napa Valley Grille.